Thanksgiving and offering are key to the understanding of Christian Stewardship. All we have comes from God, and we give thanks to Him for all the blessings He bestows on us. As Fr. Schmemann wrote in For the Life of the World, our human role is to offer back to God in thanksgiving, all that He has given to us. By understanding that we are accountable for what we have received, we work and multiply the seeds God planted in us, and we offer them back to Him. At St. Innocent, we want to build up the Church, we want to preach the Gospel to all people, and we want to give a witness to Jesus Christ through our ministries. The most important way of being a Christian steward is through worship and participation in the Divine Liturgy. However, we are also called to contribute to the work of Christ with our prayer, our skills, our time, and our financial support, following the principle which the Apostle Paul presents to us in his First Letter to Timothy: "As for the rich in this world, charge them neither to be haughty, nor to set their hope on uncertain riches, but on God who richly furnishes us with everything we enjoy. We are to do good, to be rich in good deeds, liberal and generous, treasuring up for ourselves a good foundation for the future, so that we may take hold of the life which is life indeed" (1 Tim 6:18-19). Our gift is a thankful response for God's many blessings. The Scriptures teach, "All shall give as they are able, according to the blessing of the Lord your God that He has given you." Deuteronomy 16:7. Everything we have is a gift from God and we respond by returning a portion of our wealth for the work of His Church. HOW CAN YOU BECOME A STEWARD AT ST. INNOCENT'S? The Mission of the St. Innocent Orthodox Church Endowment Fund is to provide for the long-term financial support of St. Innocent’s mission, ministries, community, services, facilities. An Endowment Fund is made up of larger individual gifts and bequests such as money or other financial assets donated to the fund with the stipulation that it be used in support of the mission of the parish. The investment becomes a financial resource that St. Innocent Church can use. 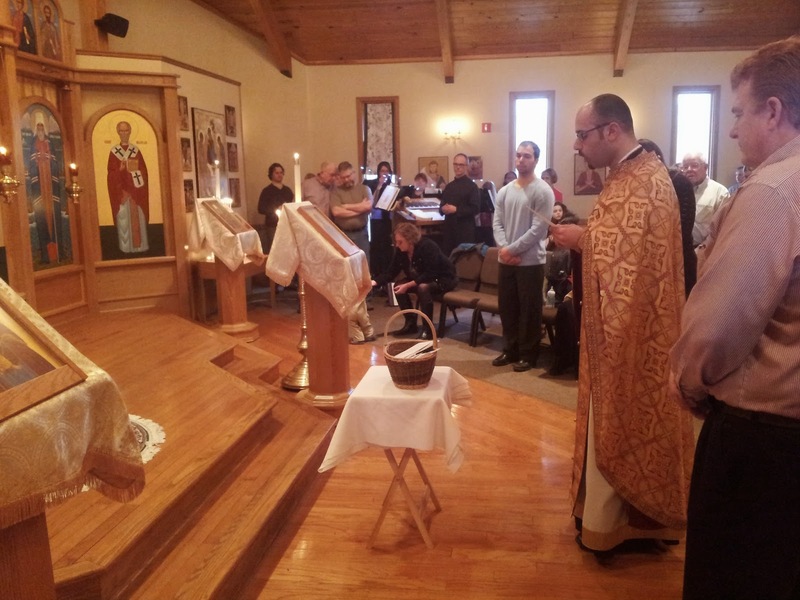 WHY CONSIDER GIVING TO THE ST. INNOCENT ORTHODOX CHURCH ENDOWMENT FUND? Unlike a pledge, which is the annual financial commitment to meet the immediate needs of the parish, the Endowment Fund exists for long-term support of the parish. The Endowment Fund offers an opportunity to support major initiatives that provide long-term benefits. Moreover, the Fund can provide financial support in case of unexpected emergencies. As Christians, we are called to respond faithfully to God’s abundant mercy toward us and our families. As people of God, we are encouraged to give from our accumulated resources during life and at death. In so doing, we take a vital step in fulfilling God’s plan for our lives and at the same time, leave a faithful and meaningful legacy behind. Wills and Bequests. This is the most common form of planned giving which is accomplished by simply adding St. Innocent Church as a beneficiary. Charitable Remainder Trusts. Save taxes and increase your income. The donor can transfer cash, securities, or other assets to a trust which then pays an income for life or a specific period of time. Upon death, the remainder of the asset goes to St. Innocent. In addition, the trust provides an immediate tax deduction upon its establishment. Life insurance. You can gift an existing life insurance policy to St. Innocent Church when it is no longer needed for your family or business protection. They believe in Orthodox Christianity and its mission and purpose. They believe in St. Innocent Orthodox Church as a beacon for future generations. They like the idea of perpetuity, that is, giving beyond their own life. They value the idea of leaving a legacy. They like the idea that their gift will grow with sound investments and spending practices. They would rather give to St. Innocent Church and gain the tax advantage that an endowment can offer. They have a history of giving to an endowment and understand the benefits. You can access the regulations of the St. Innocent Orthodox Church Endowment Fund HERE. If you are considering making a contribution, or if you have additional questions, contact Fr. Alessandro or a member of the parish council.